There have been a lot of babies born to my family over the past year, but not one of the baby showers I attended had such an adorable Mom To Be SASH for moms to wear at there baby showers. 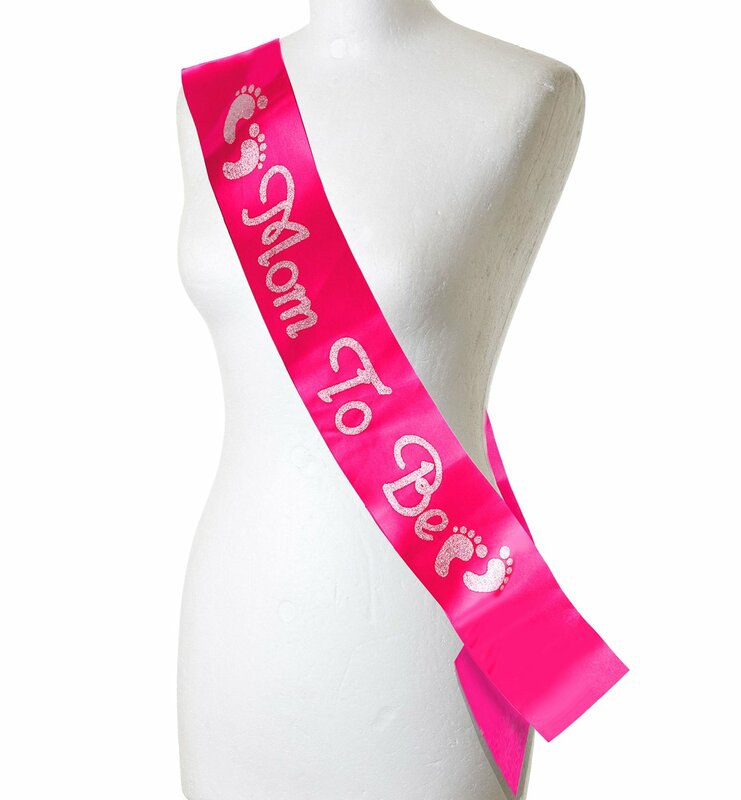 This Beautiful Mom To Be Pink Satin Sash with Silver Glitter will be worn by the newest mom to be on my list who is expecting a baby girl soon. The sash is a beautiful bright pink color, and is perfect for expectant mothers who are awaiting the arrival of their baby girls. This would be a perfect baby shower gift, or could even be used to announce your pregnancy. The sash is a lovely design, and the glitter is not the type to come off and spread around the room. This sash is also available in blue for boys.